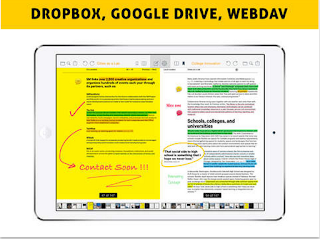 Easy Annotate is a very good side-by side PDF editor. It enables users to easily annotate and link two PDFs at the same time. Easy Annotate has become the most popular option for studying two documents simultaneously, with over 40.000 downloads. Easy Annotate offers a wide variety of features that include: side by side viewing, editing and annotating of two PDFs, linking PDF documents to create complete study projects, full Dropbox, Google Drive and WebDAV support with auto-sync, full annotation support (highlight, underline, cross-out, draw, etc) and many more. Open two pdfs next to each other to review, compare, annotate, study or lookup references. Link documents to create references for easy lookup. 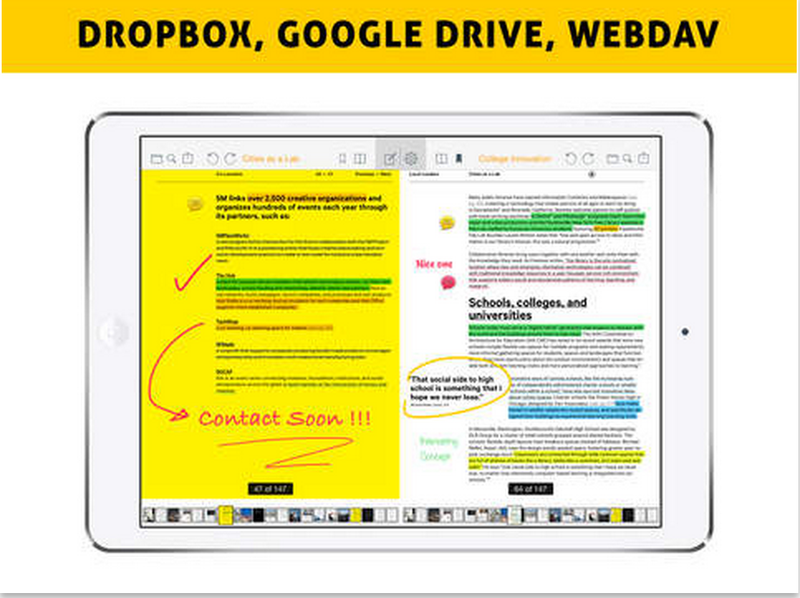 Highlight, underline, note, draw or squiggle - Annotate pdfs your way. You can even add sounds, signatures, stamps and images. Write down your thoughts and ideas with the EA Note feature. Open MS Word, Excel, Powerpoint, Apple Pages, Numbers and Keynote files with Easy Annotate and they’re automatically converted to PDF. Use the build-in web browser to read and compare websites. View webpages and PDF side-by-side. Simplified downloading of PDF and RTF files using just a single tap. Convert webpages to PDF. The free version of Easy Annotate includes advertisements and does not add Dropbox, Google Drive and WebDAV support.